This is a Grosgrain Ribbon that is 1" wide. This is for 3 yards, so a qty of 1 is 3 yards, qty 2 is 6 yards and so on. If you have any questions let me know. I will be adding more ribbon so please check back often. April Sale: Purchase $30 or more (Before Shipping and Sales Tax) and receive 15% off. Shipped fast and very cute. 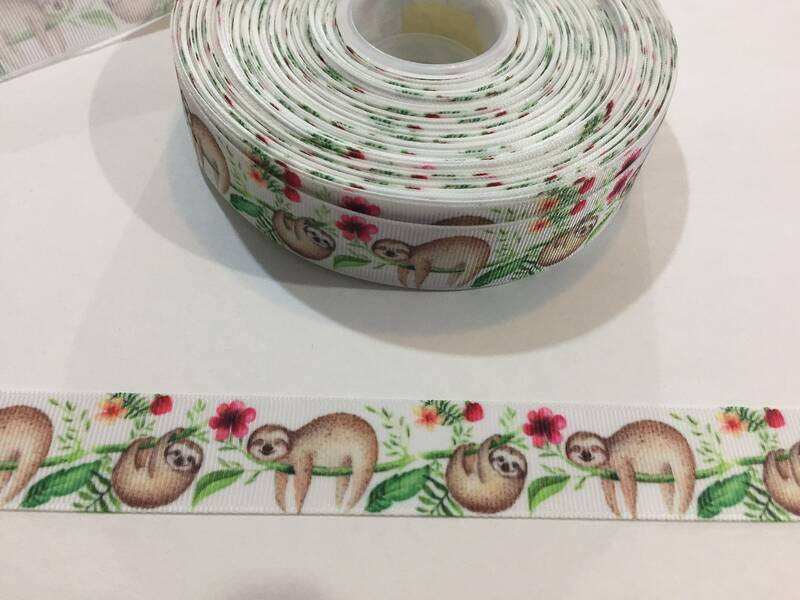 This sloth ribbon is so cute. Quick shipping.